First time mothers are supposed to spend the nine months before birth in a blissful state of anticipatory preparation. With only a few weeks before the arrival of her newborn, Amanda is feeling anything but bliss. After discovering her husband's infertility, Amanda undergoes the grueling process of in vitro fertilization. A couple miscarriages later, she finally carries a healthy child. Despite all of this, she and her husband are fleeing for their lives. A few weeks ago, she received anonymous notification, indicating that the life of her child was threatened. Now, off the coast of Africa, the couple is aboard a yacht, fleeing for the safety of their child. Under the cover of darkness, a group of Somali pirates hijacks the ship, killing the crew, her husband, and kidnapping the pregnant Amanda. This story alone would be enough to capture American headlines, but there is one more detail that makes this an even bigger story. Amanda is the daughter of the President of the United States! 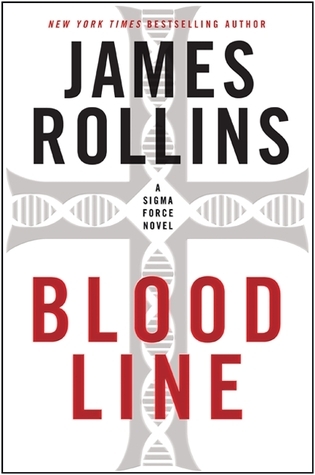 In "Bloodline", the latest installment in the popular Sigma Force series by author James Rollins, Sigma, a secretive US military group, is tasked with finding the kidnapped Amanda. Gray Pierce, field leader of the covert team, is dealing with problems of his own. His mother was caught in the crossfire of his previous mission, in which his pursuit of the elusive organization, The Guild, led to her murder, leaving his father, who is slowly declining into dementia, to live alone. By straddling his protagonist with the guilt of his mother's death, Rollins turns what could have been a mindless super-human warrior into an everyman with genuine emotions. Sigma enlists the help of a highly trained, army dog, Kane, and trainer, Tucker, to assist with the search. The sequences featuring the dog allow Rollins to flex his creative muscles, as he narrates entire passages from the perspective of the dog. Through this inventive method, Rollins successfully portrays the authentic relationship of trust between man and animal where the lives of both completely rests in the hands of the other. As the investigation continues, the team uncovers a shocking connection between the kidnapping and the elusive Guild. Coming closer to discovering the motivation behind the abduction, Gray is fueled by both a desire to return the missing woman and unborn child safely to their family and by an urge to seek revenge for the brutal killing of his mother. Despite being the eighth novel in the series, "Bloodline" has enough back-story to stand on its own. Writing with an authoritative confidence, Rollins provides the perfect combination of thrills, emotion, and fact. With an abundance of characters and story lines, he keeps the story sailing in the right direction, never allowing the focus to shift from the impending conclusion. His accessible language allows for a quick pace and an easy read that packs action, science, and intrigue into a smart and entertaining novel. The crash of the Wall Street Market ushered in a new era of consciousness of the wrongdoings of those running the U.S. financial system. Fatal flaws came to light, and the American people demanded retribution for the misuse of their money. When the government, in an attempt to hinder a looming economic depression, bailed out large financial institutions, the lives of millions of Americans were instantly changed. 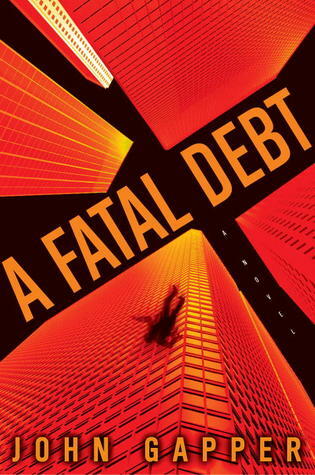 There was a large focus on the impact of these events on lower and middle-class citizens, but in "A Fatal Debt", debut author John Gapper creates an imaginative thriller, focusing on a CEO who also saw a drastic change of life after the financial crash. Harry Shapiro had it all. A high profile position as owner and president of a top financial institution at the heart of Wall Street provided him with the luxurious lifestyle most people can only dream of. Unfortunately, the combination of one sour deal, in this case the purchase of a smaller, struggling company, and the market crash left a lasting mark on Shapiro's life. After a public hearing finds Shapiro at fault for the collapse of his company, the once confident financier is left jobless and depressed. This is how Ben Cowper, a young psychiatrist at New York's Episcopal Hospital finds Shapiro. When Harry's wife discovers her husband in his study, clutching a handgun, she immediately brings him to the hospital. After a short assessment of the man, Ben believes that Shapiro is suicidal and that he should be kept in the hospital for further evaluation. But Harry will have no part of this diagnosis. At the encouragement of the hospital, which received generous donations from the Shapiro family, Ben decides to release Harry from the psych ward and to treat Harry at his home. After a chat with Harry, Ben feels that he is making some progress. Shapiro seems content with his situation, and willing to work with Ben. A few days later, Ben is shocked to learn of a fatal shooting in the Shapiro's mansion. With the profile of Shapiro's psychiatric condition suddenly raised, Ben finds himself inside a murder investigation that could lead loss of his job, medical license, and even his life. Gapper has created an edge of your seat thriller that grabs you from the very beginning. Drawing on the events surrounding the market crash, he introduces fascinating characters into the high-stakes world of Wall Street. Despite losing a bit of urgency in the last third of the story, the opening events are strong enough to propel the reader through the rest of the book. A mixture of murder investigation, legal thriller, and medical drama, "A Fatal Debt" is a fast paced novel that should not be missed. In his debut novel, Sanctus, author Simon Toyne thrilled audiences with his high concept, religious conspiracy thriller. The dazzling story continues in The Key, the next novel in his planned trilogy. The novel opens days after the events of the previous book. After her brother's strange death captured the attention of the world, Liv Adamsen finds herself in a hospital bed, unable to fully remember the events that brought her there. She can vaguely remember entering the secretive religious Citadel located in Ruin, but has no clue how she ended up in the hospital. Even worse, she is hearing whispers that claim she is 'the key'. Unbeknownst to Liv, a web of conspiracy is coming to fruition within the confines of the Catholic Church. The mysterious inhabitants of the Citadel, known as the Sancti, were meant to protect an ancient sacrament. When the sacrament was released, all leaders of the group were killed, leaving the compound without a clear direction and threatening the future of the entire church. Even more, a plague has set in, killing the Sancti one by one. Leaders of the Vatican believe that Liv holds the key to the sacrament, and will stop at nothing to return her to the Citadel. As a cat and mouse chase ensues, Liv realizes the enormity of the situation. With the aid of Gabriel Mann, a charity worker who's family has long sought to reveal the sacrament, Liv must discover the true meaning of 'the key' before her life and the fate of the entire world comes crashing down. Despite the complexity of the plot, Toyne expertly manages all aspects of the story through his streamlined prose. The novel picks up right where Sanctus left off, allowing the urgency of the story to permeate the entire novel and the characters to continue to develop believable relationships and reactions to their situations. 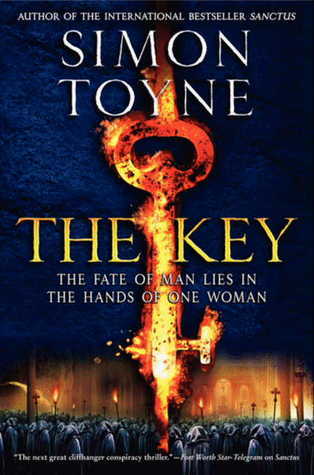 Toyne never lets the enormity of his concept drown out the subtle motivations of his characters. He seamlessly weaves actions, history, romance, and suspense into a nonstop thriller that pulses forward to a shocking and extremely satisfying conclusion. The Key successfully continues the precedent set by Sanctus, and leaves the reader anxiously awaiting the conclusion to this gripping trilogy. Over the years, Mexican film director Guillermo del Toro has become well known for his fantastic horror films. Disgusted with the recent treatment of vampires in film and literature, del Toro sought to write a novel that portrayed the monsters as he thought they were meant to be. He enlisted the help of seasoned author Chuck Hogan (The Town) to create The Strain Trilogy, a set of novels about vampires taking over the world. 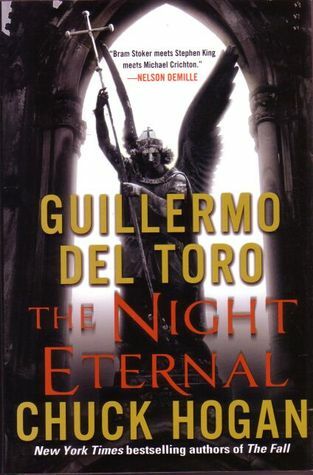 The Night Eternal, the third and final novel in the trilogy, begins two years after the events of the previous novel. After a nuclear holocaust, the entire planet has been shrouded in darkness. Vampires have essentially taken over the world. Because the creatures rely on human blood to survive, they have set up camps, where humans are farmed (think a dairy farm where blood is harvested instead of milk). The entire vampire race is lead by The Master, an ancient being that has been planning this takeover for thousands of years. There are, however, some humans who have managed to escape the fate of the rest of their peers. Dr. Eph Goodweather, a former doctor from the Center for Disease Control, leads a rebellion with the help of another doctor, an exterminator, a half-breed vampire who seeks to kill the vampires, and a couple of former gangsters who refuse to be turned into the creatures. Eph mourns the loss of his son, who was captured by The Master, and vows to do whatever it takes to rid the earth of the monsters. With the help of an ancient book, the group has one final shot to kill The Master, ending the strain and destroying all of the creatures. This is one of those novels that really only works if you have read the others in the trilogy. After reading the first two novels, I came into this one with an attachment to the characters and desire to see how the story would pan out. Del Toro and Hogan write in a very cinematic style that works well for this kind of story. They give just enough to keep the reader hooked, while still maintaining a sense of suspense. The action sequences fly off of the page and the characters are written in a way that really made me care what happened to them. There are some plot holes and continuity issues that bugged me, but in a story of this nature, I didn't really mind them. This is a fun B movie of a novel that does a fine job in ending what began as an exciting horror trilogy. As a native of San Antonio, Texas, I have always been fascinated by the history of my hometown, and the surrounding areas. As a young child, I had the opportunity to visit the Alamo and the surrounding missions. I'm not sure about other states, but Texans are extremely proud of their history, so I have read and studied about the Battle of the Alamo in school and on my own for many years. Every once in a while, new details emerge, inspiring new versions of the story of the Battle that took place all those years ago. 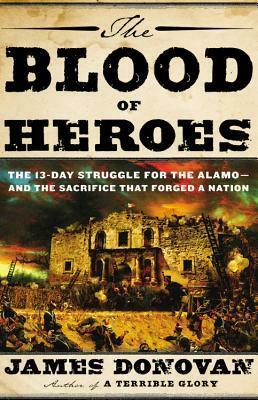 In The Blood of Heroes, author James Donovan presents a well-researched and gripping recollection of the events surrounding the Battle of the Alamo and the people who have become notable for it. Drawing on recently uncovered primary sources, Donavan introduces people at both ends of the war in the most life like portrayal I have ever encountered. Using both the spoken and written words of the men, Donovan provides a unique insight into the character of the men and their subsequent motivations for fighting, or not, in the war for Texas independence. Despite being a work of nonfiction, the story feels like a well-written novel, always describing interesting details while never sacrificing the pace of the action. I found the descriptions of the weaponry used to be a fascinating insight into the tools that were used during combat of the time period (1836). The 200 Texans, severely under-armed and extremely outnumbered (the Mexican army had thousands), fought valiantly for 13 days. All Texans are familiar with the tragic fate met by the 200 men, but the details brought to light in this book allow fresh insights into the familiar story. Donovan has crafted what is sure to become one of the definitive collections on the Battle of the Alamo. Matt Royal attracts trouble. No matter what he is doing, the retired lawyer always seems to find himself in intriguing and life-threatening situations. 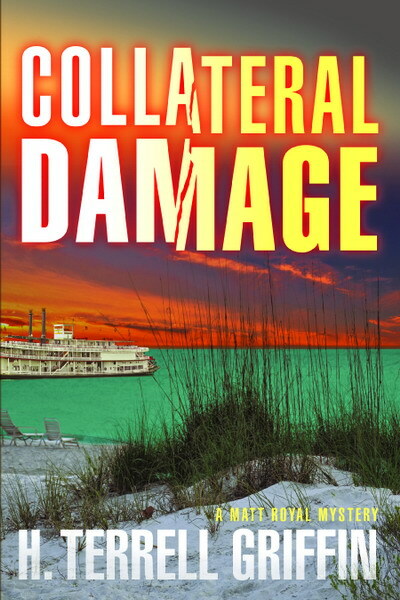 In Collateral Damage, the latest installment in author H. Terrell Griffins series, Matt Royal, once again, finds himself in the middle of a murder investigation and a conspiracy that could date all the way back the Vietnam War. Longboat Key, Florida is a quiet coastal town that sees little excitement outside of the tourist season. When a young groom is shot while running along the beach, the town is shaken. That same evening, while fishing with his good friend Logan, Matt witnesses strange events on a dinner cruise boat, sailing by them, that leads to two other deaths. When he receives an unexpected contact from an old war buddy, whose son happened to be the young murdered groom, Matt promises to help investigates the murder, and searches for a connection between the shooting and the mysterious murders aboard the cruise. As in the previous novel, the supporting characters help to keep the plot moving. Matt's best friend, Jock Algren, works for a secretive government agency that gives him practically unlimited resources to assist in the investigation. This James Bond like character, while highly unbelievable, works well within the world of the novel, and allows for an easy way for Matt to have some credibility as an investigator. The love interest, Longboat P.D. Detective J.D. Duncan, is written with a subtle touch, allowing the budding relationship to simmer throughout the novel, without falling into the stereotypes of most thriller love elements. Griffin's love for the place and people of Florida permeates the novel, providing the fictional world with some much-needed reality. While the plot becomes a bit hard to follow at times, the story resolved nicely. This novel is a fun, escapist type read, that is sure to provide fans of mystery thriller novels with a great time.